It sounds pretty simplistic, doesn't it? But it's so true. The key to finding balance in life is figuring out what makes you the happiest, feel the most fulfilled and causes the least amount of stress and anxiety. Let's face it. In this hustle and bustle world where we're constantly being pulled in many different directions, by people or situations having different demand levels, without balance of some kind that hustle and bustle world can be a tremendously overwhelming place to cope in. And that's a very unhealthy way to live. There's an expression that's has been fired at me periodically from a very early age that goes, "Don't bite off more than you can chew, don't take more on your shoulders than they're strong enough to carry, don't give at your own expense and don't be afraid to say 'no' when what someone else wants or expects doesn't fit into how you're trying to live." Okay, so maybe that was four expressions joined together, but still. There is very valuable insight there and, pretty much, the keys to finding true balance. 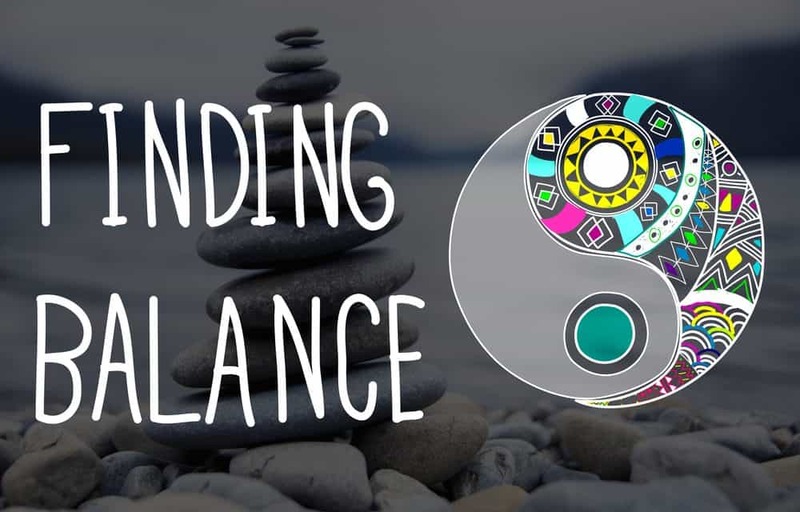 The number one key to finding balance is looking at all of the things around us that we consider a priority. What are yours? Your job? Money? Your family? Health? Essentially, priorities need to be organized in order of what is most important to you in your life, then everything else should be secondary. Just because someone or something is demanding to be put first, doesn't make it is a priority (That's where the learning to say no thing should be practiced). Biting off more than you can chew is pretty much filling your plate up too full and not knowing how you'll get through everything. This usually happens when you agree to everything straight off, without evaluating what you already have going on to see if you can meet another pile on your stack. If you can, and it doesn't interfere with your main priorities, great! If you can't work it in and it interferes with your own work/time/health/family time, then don't drown yourself. Take on what you can, and be strong enough to admit what you can and can't handle at the time, then steer the person or situation elsewhere. You aren't responsible for everything and every one around you. You are only responsible for who and what are within your main priority list. There can come a time when you give of yourself so much, you become paper thin and worn out. Don't do that to yourself. 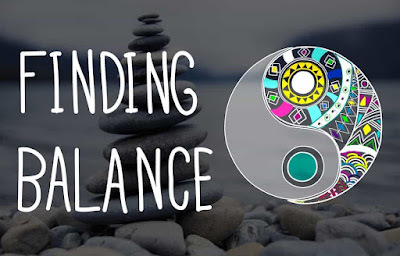 Balance is work life, family life, personal life, love and harmony. And that leads us to our writing prompt for today. Start with creating a list of all of your priorities. Then take a look at that list and figure out where your main focuses should be. Everything else may be important, but not as critical to maintaining your self-balance and shouldn't go above what's at the top. If you find yourself getting out of whack, tune back in to the list and re-structure it. We all need to do that from time-to-time as surprises pop up. I find journaling, writing a letter that may never be mailed or even writing a short story around a situation that could occur when life-balance is leaning the wrong way can be a great way to get back on track. I'm not perfect by any means of the stretch, and I don't try to be. But I make sure to maintain my own self-balance, keeping my top priorities in sight, because I know what can happen when I don't. I really needed to read this, its my first time on here and I am finding ways to express myself better with others that may share a similar lifestyle like mine or have been where I am. I appreciate all this article offered me I have been away from the work field for 2 years now due to unexpected situations, I love to have my mind stimulated with helpful things and this has been golden for me. Thank you stay blessed.